It was very striking to see Gatorade admit what Drs. Sandra Godek and Tim Noakes have stated for years. It’s too bad that two high school football players died in one month before Gatorade backed down from its hyperhydration science. 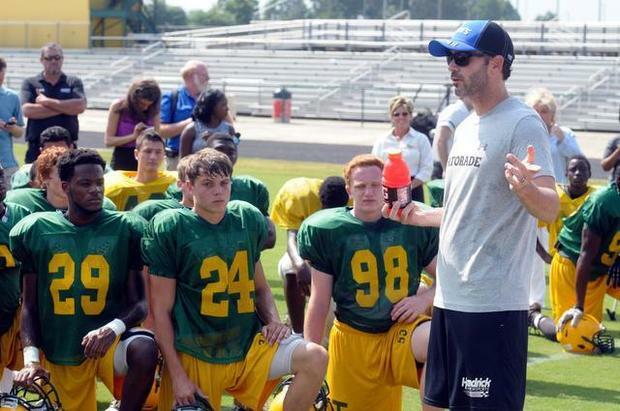 Gatorade tells high school athletes that its product will prevent heat stroke. There’s no evidence for that myth. So will Gatorade’s multi-billion-dollar marketing campaign finally correct the record? Will Gatorade ever spend as much money to prevent hyper-hydration, as they spent promoting it? We now have an answer. No. Gatorade will not adjust its advertising to match hydration science. Research shows that dehydration or poor hydration increases the risk for heat illness. 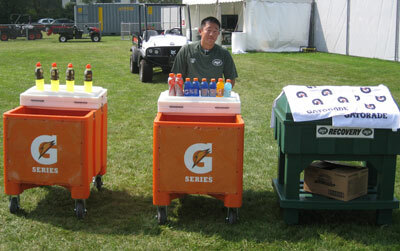 The Gatorade press release cited one study to support its claim that dehydration increases the risk for heat illness. Gatorade’s hydration advertising has dangerously contradicted science before. But now Gatorade’s Beat the Heat Campaign is embarrassingly contradicting the Gatorade Sports Science Institute’s own scientists. How long will Gatorade hesitate before it corrects this self-contradiction? And will Gatorade finally correct its advertising, or will Gatorade tell its scientists to fall in line with its marketing campaign? It is fair to call out Gatorade for ignoring the risk of excess liquid consumption. However I feel it is irresponsible for this blog to ignore the full statement made by webinar “we believe it can increase the risk of exertional heat illnesses.” Claiming that that dehydration is not associated with heat illness is just as dangerous as not mentioning excess drinking can be harmful. Few studies in support of not exercising dehydrated. Notably, for all players (n = 8), pre‐play (singles) USG (urine specific gravity) was strongly associated (r = 0.87; p = 0.005) with the players’ final TC (core body temperature) recorded at the end of singles play…. Intestinal temperature was greater for DYS(dehydrated) than for HYS(hydrated) postloop 2, postrun, and at 10 and 20 minutes postrun (all: P < .001). Intestinal temperature and heart rate were 0.22°C and 6 beats/min higher, respectively, for every additional 1% body mass loss during the DYS trial compared with the HYS trial. There were 20 (4.4%) students whose ear temperature exceeded 38°C, 18 of whom did not consume water…. There is an increased risk for heat illness during outdoor activities in physical education class in primary school children, especially those who are overweight and have poor hydration status. Dehydration, with fluid loss occasionally as high as 6-10% of bodyweight, appears to be one of the most common risk factors for heat illness in patients exercising in the heat. Core body temperature has been shown to rise an additional 0.15-0.2 degrees C for every 1% of bodyweight lost to dehydration during exercise. My point is that I agree with the Gatorade webinar: there is no evidence that dehydration increases the risk of heat illness. I just wonder why Gatorade’s advertising contradicts what Gatorade’s own scientists say.